ELA.RF.5.4b: Read on-level prose and poetry orally with accuracy, appropriate rate, and expression on successive readings. ELA.W.5.1b: Provide logically ordered reasons that are supported by facts and details. ELA.W.5.1c: Link opinion and reasons using words, phrases, and clauses (e.g., consequently, specifically). ELA.W.5.1a: Introduce a topic or text clearly, state an opinion, and create an organizational structure in which ideas are logically grouped to support the writer’s purpose. ELA.W.5.2b: Develop the topic with facts, definitions, concrete details, quotations, or other information and examples related to the topic. ELA.W.5.2a: Introduce a topic clearly, provide a general observation and focus, and group related information logically; include formatting (e.g., headings), illustrations, and multimedia when useful to aiding comprehension. ELA.W.5.2d: Use precise language and domain-specific vocabulary to inform about or explain the topic. ELA.W.5.3c: Use a variety of transitional words, phrases, and clauses to manage the sequence of events. 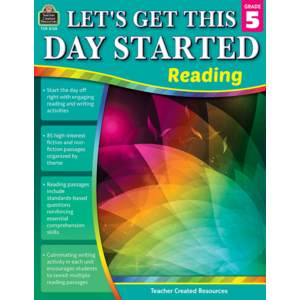 ELA.W.5.3a: Orient the reader by establishing a situation and introducing a narrator and/or characters; organize an event sequence that unfolds naturally. ELA.W.5.3b: Use narrative techniques, such as dialogue, description, and pacing, to develop experiences and events or show the responses of characters to situations. ELA.W.5.9a: Apply grade 5 Reading standards to literature (e.g., “Compare and contrast two or more characters, settings, or events in a story or a drama, drawing on specific details in the text [e.g., how characters interact]”). ELA.SL.5.2: Summarize a written text read aloud or information presented in diverse media and formats, including visually, quantitatively, and orally. ELA.L.5.3b: Compare and contrast the varieties of English (e.g., dialects, registers) used in stories, dramas, or poems. ELA.L.5.5b: Recognize and explain the meaning of common idioms, adages, and proverbs.